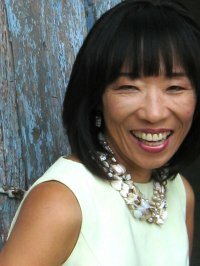 Since the early 1990s Masako Masuda has worked on over 50 movies, including Jurassic Park, Death Becomes Her, Erin Brockovich, A.I., Terminator 3, The Polar Express, Memoirs of a Geisha, The Curious Case of Benjamin Button, Act of Valor and the upcoming 47 Ronin, as well as on TV series Sons Of Tucson, Revenge and House Of Cards. In this interview she talks about the art and craft of set design, the overall structure of a traditional movie art department and what changes it is undergoing these days with increasing presence of digital post-production work, the importance of period and architectural correctness, positive and negative sides of working with various software modelling tools, and the differences between working on movies and TV shows. Kirill: Please tell us about yourself and how you started in the field. Masako: I have several degrees. The first one was in economics, the second one was in sociology. And when I wanted to break into the film business, I was strongly advised to get an interior design degree, so I did. After I got my third degree I became an interior designer in the department store design, because I didn’t know how to break into the film business. When I felt the time was ripe, I started working on non-union shows. It was way before email and cellphones, and I had to make countless cold calls based on whatever leads I got on any non-union shows I heard about. It took me about four years to break into the union. In the union world, there was a certain cycle when business gets so busy that the list of available union people is almost empty. That was the break people like me then got hired. I finally hit one of these high times with the help from a friend who was in the union. One day she called me up and told me to show up for an interview on her show. I dropped everything, ran over there, and got hired. Once you work on a union show for 30 days, you are accepted to become an union member. Thus, I got into the Set Designers Union. Within Set Designers Union, there is an hierarchy of designers: Junior B, Junior A, Senior, and Senior Lead Set Designer. You have to work a certain numbers of hours to move to the next tier. While I worked my way up the ladder, I also had a chance to get into the Art Directors Union. Set Designers Union and Art Directors Union then were two separate unions. However, years later, they merged into one, and now all Art Department people are in one union – Art Directors Guild. I was fortunate at the beginning to work with people who were working with Steven Spielberg and Robert Zemeckis. So, even though I was still a very green junior set designer then, I had great opportunities to work on films such as Jurassic Park and Death Becomes Her. The closing set of “Jurassic Park”. Kirill: Was it your dream growing up? Why this desire to get into the movie business? Masako: To tell the truth, it was not my dream (to work in the movie business) when I was a kid growing up in Japan. I didn’t even know that the film business existed, and even when I found out about it, it seemed so foreign to me. However, even to my kid’s eye, whenever I saw American TV shows or films, I felt that there was a big quality difference between Japanese TV show sand films and American ones. Then this TV mini-series called Shogun came to Japan. By total accident I worked as one of the interpreters assigned to the Art Department. Seeing what they did, and how they did so professionally completely changed my life. I always liked art, but never had a chance to go to an art school. But this experience with an American film crew showed me that maybe there would be a career for me to use my talent. I was lucky to be with such professional production designer and the set decorator. When I asked them for their advice, of course, they first tried to discourage me. But when they understood I was serious, they gave me all their support. Once I made up my mind, it became my passion: to go to Hollywood, and break into the film business. Kirill: And it’s not really a business in which you can count on a steady paycheck. Masako: No, definitely not, even though we all wish it to be. This business is never for everyone. If you really want a steady job and steady paychecks, you are not going to be happy to be in this “feast or famine” business. There are always ups and downs, and it is highly competitive. But if you have a strong desire to achieve what you want, let it be set design, directing, writing, special effect, and you’re willing to take certain risks, I will say go for it! Kirill: As you move to a new production, do you need to be physically there? Can you work remotely from your studio? Masako: Except some occasions for illustrators or storyboard artists, normally we need to be physically in the art department office wherever it is. It is because we need to be in close communication due to the design direction, changes and revisions which can happen hourly or even more frequently. Part of a construction diagram (click for full-size view). Courtesy of Masako Masuda. Kirill: What is the job of a set designer? What do you do? Masako: A set designer is like an architect. I design the architectural environment: from the shape of the space (later drawn into floor plans and elevations) down to every detail of windows, doors, moldings, and also wall paint, wallpaper, floor materials patterns, and any custom designed items. On top of that, design needs to be based on the period of the script. So, Art Department does countless research. Thank god, we now have internet! For example, if there’s a restaurant set in 1920s period, I need to know what the architectural style was like, what colors were like, what materials were like. Then with this info, I start designing based on what Production Designer wants. Art Department always tries to make something different as we are not just recreating some historical buildings, but creating environment which is entertaining, appealing to the camera and audience, and add character to the story. By the way, I don’t handle furniture or props. They are handled by Set Decoration Department and Props Department. Occasionally, we help them if custom design items are required. In short, Art Department works this way: Production Designer, the head of Art Department, sets the design direction, stays in communication with the director to find out what he/she wants for the film’s look and story. Art Director oversees day to day design process and work with Set Designers in close communication with Production Designer. 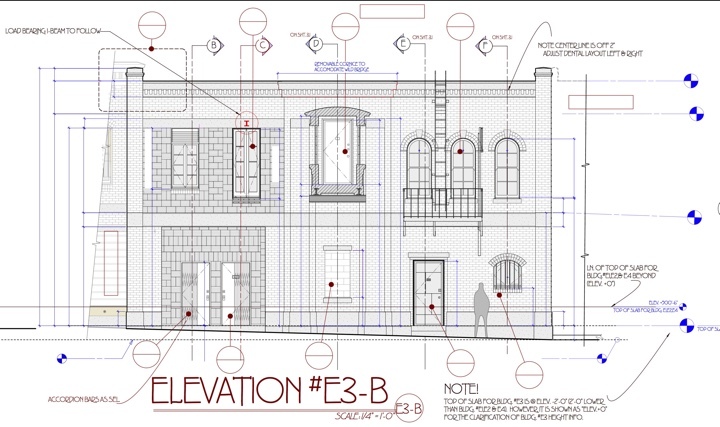 Set Designers get involved with research, design, details, and construction drawings for Construction Department. It is very typical for any of the designs to get revised again and again until they are approved by Production Designer, and ultimately by Director. From that point Set Designer works on the final construction drawings to give them to Construction Department which will build all the sets. Of course, on many occasions, construction starts almost simultaneously even when final design is not done yet, due to the time limit. They are breathing over Set Designers’ shoulders waiting for us to give them any drawings. In that case, revisions need to be done during construction which can be costly. In the end, somehow, miraculously, things get done! 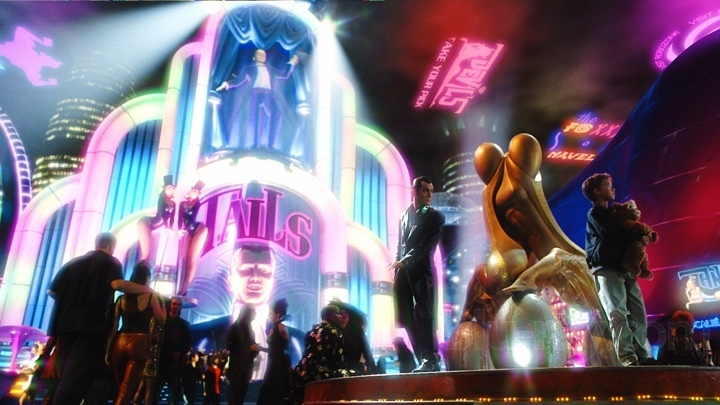 Rouge City in “A.I. Artificial Intelligence”. Kirill: At which point in the production cycle are you called in? Masako: The art department is always way ahead of the rest of the departments. It is because we have to research, design and build before the shooting company comes. For a feature it used to be three to four months or even longer before the shooting starts, but the recent trend is that it is getting shorter and shorter due to the studios trying to push and save money. Many times, we feel we are already behind on the day one when we start Art Department. Sometimes studios and producers think that instead of having five people for three months they can have fifteen or way less people for one month [laughs]. Number-wise it may make sound like it makes sense, but in reality it does not. Good design requires time. Kirill: Is it being affected by some of the sets created or at least partially augmented digitally in post-production? Masako: I see that a big portion of budget is spent on CGI when real sets should have more money. There is definitely the benefit of CGI, such as being able to create a 200-story building with just 1-story of real set and add the rest with CGI. However, CGI is neither cheaper nor faster. It still is expensive and time consuming, just like what Art Department does. Also, there has to be a well trained eye to coordinate and make the set look real, and CGI also needs to achieve that. I feel that real sets still bring a strong reality to the film in terms of details, shadows, colors and so on. I’m still wondering where the design decision will be made. Art department should have full control over the entire look of the sets. But now special effects and CGI are becoming so big in certain types of films and these digital sets can be designed by separate people, so I don’t know how much control will Art Department have over the entire look and design. We still would like to think we are responsible for the entire look of a film, but sometimes it may not be possible due to the time, lack of communication, vast assembly of the work. I heard that concern from several Production Designers and other Art Department people. Also, when the film goes to post-production, Art Department is already long gone. Then, who will oversee the final look of the film? Hopefully it is at least the production designer. But sometimes studios don’t want to pay for him/her to stay on the show that long. I’m curious to see where this is going. We definitely need more communication among these departments. I think that we are still in the process of figuring out how to make this work. 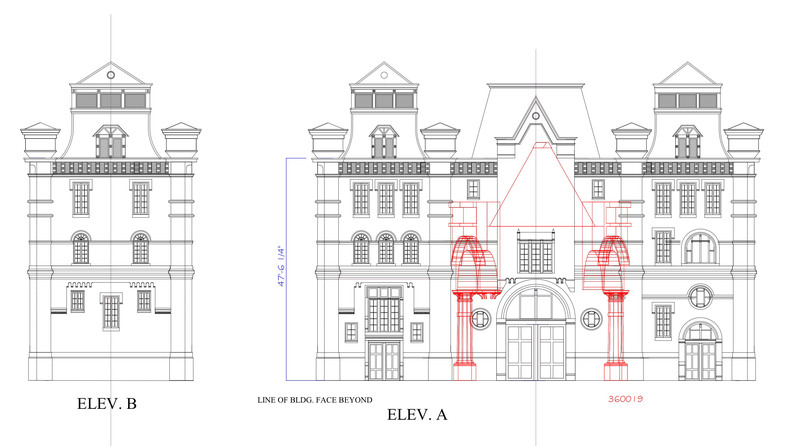 Building construction diagram for “Polar Express”. Courtesy of Masako Masuda. 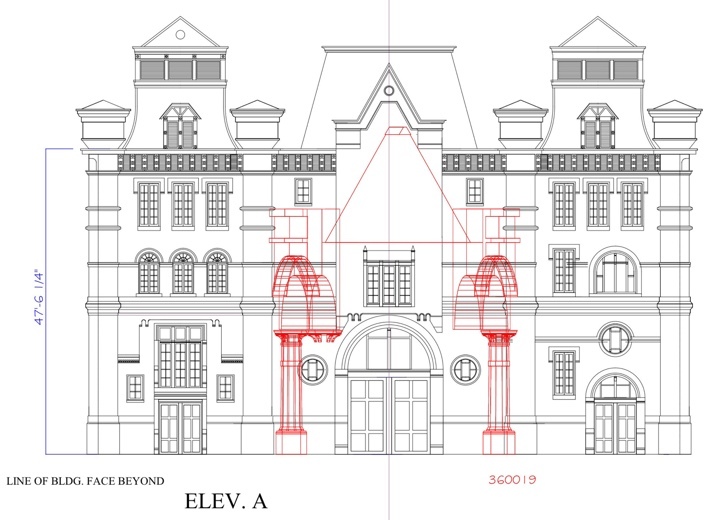 Kirill: Is it important to preserve architectural correctness in a fully digital set? Masako: Yes, it is. All the details matter. If you put a person in a set and things are not proportionally right, it won’t look right. Beside, you have to remember, things will be shown on a huge screen, and many things get to be shown in close up shots. Of course audience may not know about every detail of the environment that are built in the film. But if things are not done right, it won’t look right. You may not know what it is, but you will feel it. The audience is pretty smart these days. Kirill: When does your involvement end? Are you done by the time the shooting starts? Masako: It depends on what sets are assigned to you. If your sets are all done before the shooting starts, you are done with the show. If you are still involved with the sets that need to be done after the shooting starts, you will remain till they are done. Art Director is in charge of your time schedule and set assignment. Of course, there are always unexpected revisions, or total changes, and these will affect the schedule of how long set designers are kept. Normally, Art Department starts shrinking at some point after the shooting starts since many sets are done, and the producers want to save money by laying off people from every department. Kirill: And your daily interaction is mainly with the production designer on one side and the construction crews on the other? 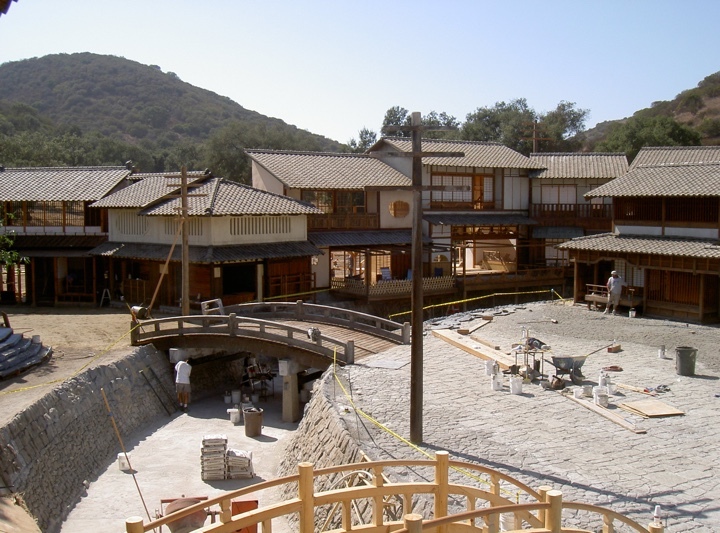 Masako: Basically yes, but more with Art Directors, instead of Production Designer, then Construction Department. The closest connection is with Art Director. Art Department, just as in any departments, has a clear hierarchy which makes the communication flow well. 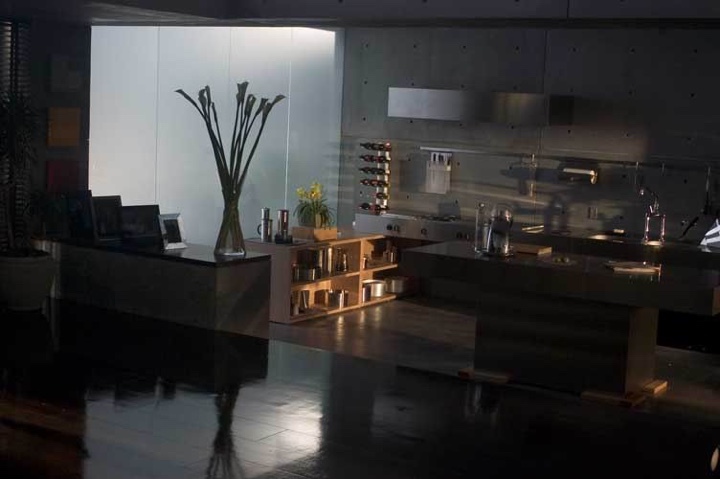 Production Designer sets the design direction, Art Director oversees executing design by working with Set Designers and Construction Coordinator. Set Designers also closely work with Construction Department. 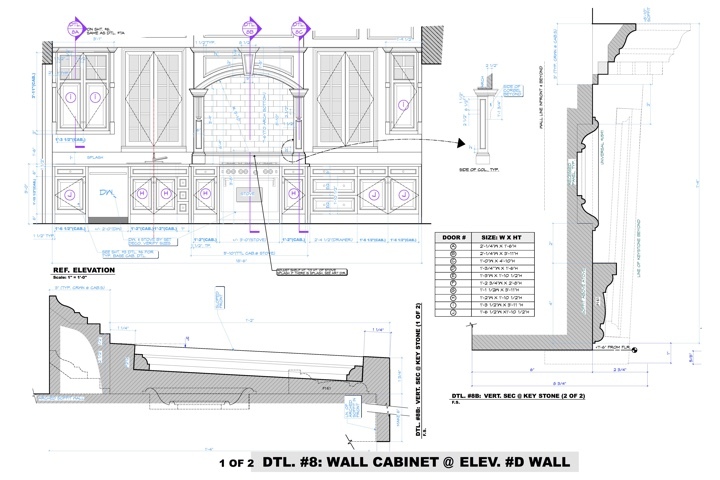 I talk with Art Director to check designs and changes, and I talk with Construction Department (foreman, carpenters and Construction Coordinator) whenever I have construction questions or they have questions on my drawings. 3D rendering of a set on “The Curious Case of Benjamin Button”. Courtesy of Masako Masuda. Kirill: If you need to create, let’s say, a Victorian set, how close do you stay to the construction techniques of that era? Masako: Instead of staying close to not the construction techniques of that period, I follow the look of the period. Film design is all about the look. I am not building a real historical building or doing some preservation work, so I can take certain artistic freedom if there is an opportunity. My job is to make the set appealing and interesting to the story of the film based on what Production Designer wants, to deliver certain story and background for the characters who are related to that particular set. Therefore, how it is built behind the wall – which audience will not see on the big screen – is not an issue. I will work with Construction to achieve the look, but I will leave it to Construction to decide on how to build it. The exception would be if the structure is a part of the design and the set. In that case, I will refer to what was done in that particular period. Though again, I can still be creative to make it look more interesting for the camera if needed. The truth is that many times, the finished set may not be all historically correct, and some historians may roll their eyes. However, if it looks more interesting and add something to the story of the film, I can certainly take artistic freedom. Art Department will always do that. That’s the fun of designing films. In order to achieve our design, having a good Construction Department is essential. A good Construction Coordinator and a good crew can accomplish delivering the look Art Department wants. So, going back to your question of a Victorian period set, I would refer to all its architectural details to start with, and design, and keep revising it by adding some interesting elements to make the set look appealing and functional to the scene and its action in the script. By the way, Design is also influenced by the budget and schedule, too. Our joke is: we start with a mansion, and end up with a shoe box house. Floor plan for a set on “The Curious Case of Benjamin Button”. Courtesy of Masako Masuda. Full-scale part of the above plan. Courtesy of Masako Masuda. Kirill: To what degree are you aware of the financial costs of creating the sets? Masako: Over the years, I have acquired a certain sense on what kind of design would be more expensive or less expensive. I have to have that sense, otherwise I will design a set that will never be built because it is too expensive. However, today the budget details are left to the art director and the construction coordinator. They are the ones to deal with and fight with Unit Production Manager who oversees the production budget. Luckily, my focus as a set designer is to achieve production designer’s vision, to design as much of what he/she wants. 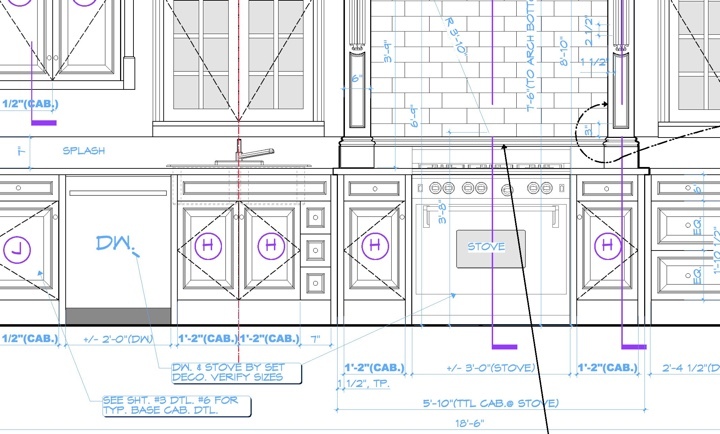 The first phase of design is almost always “too expensive”, and I am so used to revise my design to make it work without sacrificing too much of the original design which Production Designer wants. Kirill: What’s the role of the art director then? Masako: Art Director’s role is to carry out what the Production Designer wants, to delegate and work with the set designers, and supervising all designs, and supervising construction department, responsible for scheduling and budgeting. The production designer is always busy talking with the director and the producers, checking locations, talking with other department heads such as Special Effect. Art director is in charge of carrying out Production Designer’s vision, making sure it gets designed and built, and that nothing falls through the cracks. However, today Art Director has become far more like a project manager, dealing mainly with scheduling and budgeting. To perform design work on top of that is squeezing Art Directors to work very long hours every day. Kirill: We’re talking about 40 to 60 or even more sets on a feature film. How many set designers are usually involved on such productions? Masako: The big shows have multiple set designers, and on small shows I might be the only one – or maybe two or three. 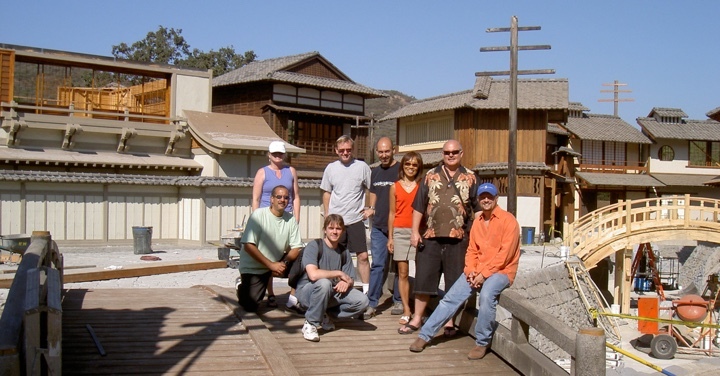 The delegation of the sets to Set Designers comes from Production Designer and Art Director. If it’s a huge set, several Set Designers will be working together. Smaller sets can be handle one after another by a single Set Designer. Kirill: What about the software side? You mentioned using 3D modeling software – how well is that suited for close collaboration? Masako: That is a constant issue we have been dealing with because everyone designs using different tools: quite a few different software packages, or even pencils. Our business is not like a corporation where some clear rules can be set and everyone is required to use the same software. Our business is like being in a jungle. There are no set rules or a standard about which tools to use. As long as you can accomplish what needs to be done and Art Directors and Production Designers are OK with what you use, you can use anything. As to the pencil set designers, I am not minimizing their skills. Actually, these are the designers who are very experienced and trained, and their knowledge is valuable. On the other hand, there are designers who use every imaginable combination of different software. So, it can be complicated to deal with when we start swapping files and drawings while we are working on a same set, or you take over or join a set which was done by somebody else with the tools you don’t use. Today, 3D model is so essential during the design phase. Even Producers and Directors expect to see them, on top of storyboards and illustrations. Again, different designers use different 3D programs. So, if I have to exchange my files, or deal with someone else’s files, it can get time-consuming to adjust to them. The model may look great, but when I open it, it may not be arranged in the way you want, or you may have to clean it up. I wish the tools had better interoperability. In our business, it is basically whoever has the loudest voice rules which programs to use [laughs]. And if there are more people using a certain program, you might be totally outnumbered. I have been there [laughs]. Also, even if I and other designers are using the same program, we may not necessarily be using the same version of it. While I am on the latest version, some people might be several versions behind, and they will not be able to open my files. People come into the film business from different directions, with various combinations of different software. You just have to bite the bullet and deal with the situation, on a job to job basis. Though I would like to add this. In the end of the day, we always, somehow, miraculously, manage to make it work! And yes, definitely, 2D and 3D modeling software helps our design process, especially when so many revisions happen on the daily or even hourly basis. On the set of “The Island”. Courtesy of Masako Masuda. Kirill: Do you need to archive your designs for long-term preservation in case your movies are released in, say, 20 years in some kind of a new holographic projection? Masako: That would be great [laughs]. But no, we don’t, unfortunately in my opinion. My union, Art Directors Guild, has hired a researcher and has started to archive certain things which are in danger of being lost. It is our history and Hollywood’s history. So, I would love to see what I and all my friends worked on to be preserved. However, it is a monumental work. And definitely if we don’t work on collecting this amazing treasure, it’s going to be lost. I believe that because most of the work is being done on computers, it would be easier to save and preserve. However, you brought up a good point. Even if I finish a job today and save it in the latest version, what happens in 10 or 20 years from now? Unless somebody keeps updating, upgrading and saving into newer versions, how can I open the files 20 years later? Of course, we can save it in PDF, but I won’t ever be able to manipulate the layers and objects on the drawings. It is an interesting time. I welcome the technology, but at the same time I feel that we are still in transition. And it will probably continue for a while. My friend’s son majored in digital archiving, and he said that in order to keep the archiving working, you have to have the original device that saved the file. And it’s an enormous task. Ten years ago the Zip drive was the biggest thing to save on. I had many of those, and now I can’t even open them because I don’t have the device [laughs]. If I didn’t transfer files to my hard drive, I can’t open them anymore. Left – on the set of “Helen Of Troy”. Right – on the set of “Terminator 3: Rise of the Machines”. Courtesy of Masako Masuda. Kirill: How do you preserve your own work? Masako: I save every final version I did on my hard drive, and also make another copy to another HD, just in case I might need to refer to it later. It happens once in a while. I have been saving all my work digitally on every show, but if I don’t resave in newer versions, or don’t even open the files for a long time, I could face a situation where I would not be able to open some files. So far, I can still open all of the files I have, but I see occasionally a warning that the file was saved several versions ago. Ultimately the safest one, I think, is to save as PDF. At least you have the record even if you cannot manipulate the image as in the original file that was created. It is almost like saving blueprints where the original drawings are gone, but you can at least see the images. Kirill: Speaking of digital, do you see more of your design being created digitally on screen instead of as physically built sets? Masako: It depends on the story. I think and hope that there will be always certain actual sets build, not all done by CGI. However, on the other hand, if you’re talking about Marvel’s sci-fi, the audience expects humongous endless sets, and that’s not physically possible. So you’ll have a lot of digital sets in these movies, but probably with the combination with the real sets. Also, even digital sets need to be designed, and a lot of them come from us, Art Department. We originate the design. Speaking of CGI, I would like to point out that with digital sets Art Department seems to be losing some of the design control, and it is a concern for us. Our union (Art Directors Guild) is trying to include all of us (Art Department people and Visual Effects people) under one union, but right now we are not there. In my opinion, depending on how we collaborate, I am concerned about who will be designing different parts of the sets. On my latest film, “47 Ronin”, which is not released yet, my Art Department was designing all sets, and there was another group of special effects/CGI people who were working with our sets. One day I found out by accident that they were modifying a set that I had designed. They were adjusting the height or location of certain things to make their CGI action work but did not tell me. But what they were designing did not make sense to my design. My design had reasons in terms of architecture and story why this alcove is here, or why this screen is there, or why things are of a certain height. They were coming from the point of view of how to make their CGI action work, and wanted to arrange things around it. Of course, if I had known about their issues, I could change my design, and we both could have worked more efficiently. We both were trying to make the scene work, but more communication was needed. Hopefully over time Art Department and CGI are going to get closer and the communication will be better. When so many people and departments are involved in a film, there is always miscommunication. It’s inevitable, and we will do our best to make things work together. In the end it always works out. The art department of “Memoirs of a Geisha”. Courtesy of Masako Masuda. On the set of “Memoirs of a Geisha”. Courtesy of Masako Masuda. Kirill: Looking at the movies you’ve worked on, what stands out? 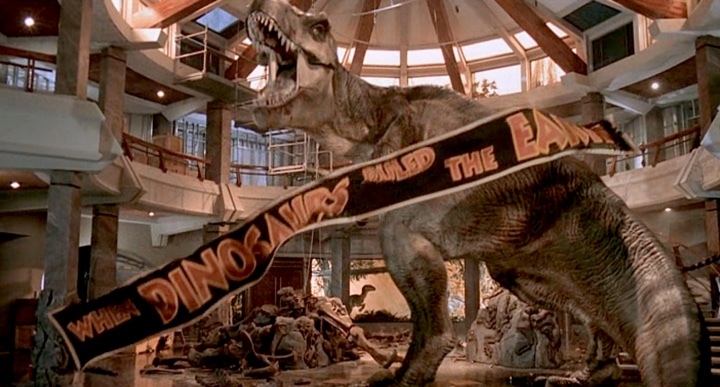 Masako: It is hard to say, as there are so many, but “Jurassic Park” was one of the most memorable ones for me. It was also the breaking point to bring in the new technology. Those were the days, of course, where Set Designers were all doing design with pencils, but I was fortunate to use my CAD skill on the Visitor Center design, and it was my first time to draw on the computer. Memoirs of a Geisha and Curious Case of Benjamin Button were the two, which were rewarded with Oscar for Art Direction. And 47 Ronin, for which I am hoping to be nominated. Kirill: You have this mix of sci-fi productions – such as “Jurassic Park”, “A.I.”, “Terminator 3” and “X-Men” – with more mainstream productions such as “Memoirs of a Geisha”, “Benjamin Button” and “Act of Valor”. Do you like to mix and switch between different genres? Masako: I love different periods – past, present and future, and I, just like my fellow designers, am capable of designing any of them. As I mentioned before, I start with intense research, and it’s part of the fun. I as a set designer work on so many different styles, depending of the story of the film. So, I do not specialize in any particular period or genre. It is always fun to design so many different periods and looks, and that’s the fun of this show business. Wall cabinet diagram for “Revenge”. Courtesy of Masako Masuda. Zoomed part of the diagram above. Courtesy of Masako Masuda. Kirill: Recently you did a couple of TV show pilots and a TV movie. How different is that environment for you? Masako: The pace is absolutely different. A TV show needs to be done in a week. You break down the script and do the sets needed for the next episode. The time is very limited, and budget is definitely limited. Therefore design has to be simpler, with not so much detail. Time and budget are two main things that are different, and that affects the rest. Kirill: Your involvement in the particular production ends relatively soon (in the overall span), and as you move to your next one and the one after that, you eventually see that movie in the theater. What do you so on your first viewing? Masako: I can’t help but look at the sets. My eyes float to the sets – especially to my own sets. Even though I’m following the story, I still look at my sets and my friends’ sets. I can’t help it. Kirill: How is your job affected by productions moving to shoot or post-convert into 3D? Masako: I think that there is no basic difference between the traditional films and 3D films. The architectural background has always been in 3D, no matter how it was shot. We, the Art Department, have been dealing with three dimensions, and we already are required to handle 3D modeling while designing. As a viewer, I feel 3D is more about things that fly at you, or about adding more depth. I think it is still in transition, and the trick that the things flying at you is the main difference between watching 2D and 3D. I always feel “Is that it? Is that the wow factor, or a gimmick?” The gimmick of the things flying at you gets old really quick. I think we are still searching how to deal with 3D. In reality, a human eye does not see everything in focus like the original 3D did. If I’m focusing my eyes on you, the background wall is blurry. I cannot focus on you and on the wall at the same time like a computer does. The natural way is to switch focus and have other things become blurry. And some movies have everything equally in focus. That is not true. It looks like that the recent productions are bringing it closer to how the human eye sees in the real world. “Life of Pi” was beautiful, for example. I think that everyone is struggling with how to make this new technology work. I think it’s still in the process. From the point of view of our design, we are dealing with a three-dimensional space. I don’t see any fundamental change. Kirill: What can you tell us about “47 Ronin”? Masako: It is a story based on the real story about 47 Samurai who lost their lord, which happened in the Shogun Period Japan. It is one of the most beloved storied in Japan. It has everything: loyalty, betrayal, revenge, love, fight, and honor. It’s a big movie with probably a lot of CGI. All the sets were originally designed in LA where I was located, and built and shot in London and Budapest. I was quite impressed by the photos of the sets build in Budapest which showed how they carried out our design, and I am very curious about how all our sets will come out. I really enjoyed working on the film with such a creative production designer and a great group of talented Art Department crew. I’m glad that the film will be released closer to the end of this year, so that, I’m hoping, that it will have a good chance to get nominated for an Oscar for Art Direction! I am really looking forward to seeing it, and hope audience will enjoy not just the story but all the sets! And here I’d like to thank Masako Masuda for graciously agreeing to the interview, for sharing the background materials and for finding time in her busy schedule to answer my questions.